I'm doing some last minute prep for a fun collaboration with Andrea. She's quite the photographer & food stylist, so we'll be styling a few mock parties, one for fall and one for Christmas (um, yeah...I'm going crazy with excitement). 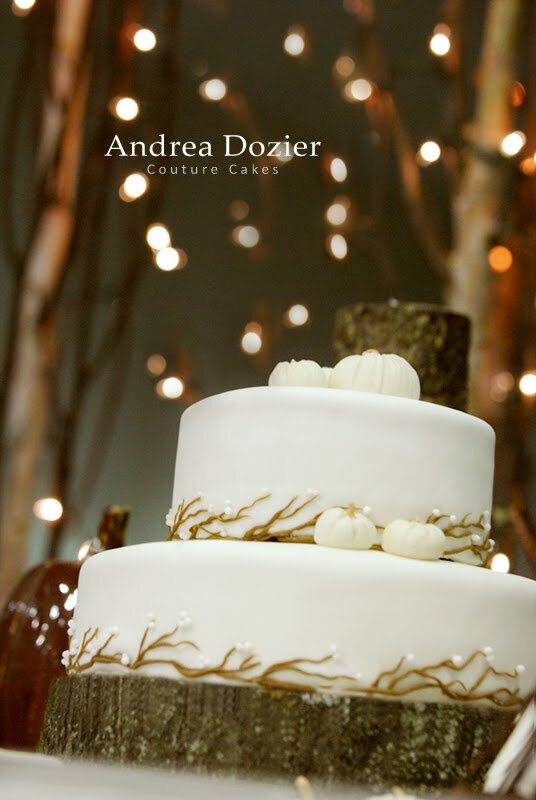 Above is a little preview of Andrea's work - a white pumpkin cake she made last year. Have a fun weekend! have a great weekend, Alli! can't wait to see the photographs from the collaboration! That cake is gorgeous! I am excited to see the results of your collaboration. This looks heavenly! Well, anything with pumpkins is close to heaven in my book. YUM pumpkin cake!! Hope you have fun!! That cake is straight out of cinderella :) Can't wait to see the pics from your photoshoots! Wonderful attention to detail. I love white petite pumpkins! That must be one of the nicest pumpkin cakes I've ever seen! Alli I had so much fun doing this project! I didn't think about bringing Christmas music, next time, lol!